Can you tell how excited I am for summer? How excited I am to be in summer? 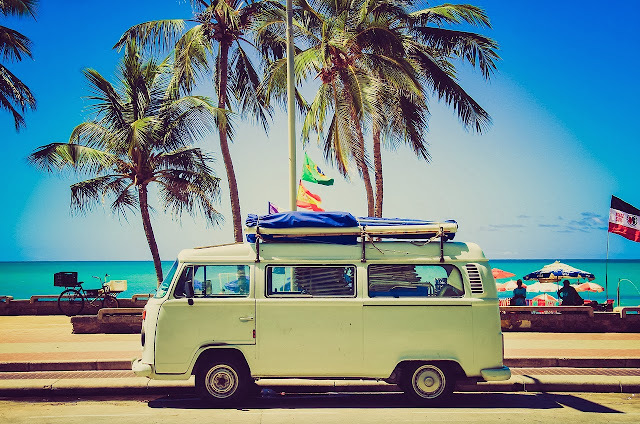 If my Summer Bucket List blog post didn't give it away, I am officially in a summery mood. Which was multiplied by eating watermelon today, the most summery fruit in the world. Summer summer summer. I want to sing the summer song like Olaf in Frozen. Unfortunately, despite what you may think from the title, this post isn't an announcement of how my quest to find an Italian husband has been a success, it's actually a little (probably not so little, knowing me) post on what I will be reading, watching, wearing and listening to this summer, so essentially you can be me. LISTENING TO: 'Low Wishes' Air Review - This album was introduced to me by Hannah Maggs, and since hearing it, I cannot stop listening. I downloaded it onto my iTunes immediately and I am officially obsessed. They're a small hardly known band from America, and oh lordy, what a gem they are. I purposely put this first as I really want you all to go and look them up on Youtube. My two favourite songs are Young and Low Wishes, but the whole album is definitely one of my favourite's ever already. READING: 'Beautiful Ruins' Jess Walter, 'Attachments' Rainbow Rowell, 'We Were Liars' E. Lockhart - Reading is a bit of a super power of mine and although I probably read a new book every three or four days, I thought I should narrow down my summer 'must reads' and was left with these three. Beautiful Ruins flicks between 60's Italy and modern day Hollywood, following the story of a Hollywood actress and a modest Italian man. I obviously haven't read it so far, but I feel like it's definitely a 'beach read', pretty easy with a bit of romance, the perfect book to dip in and out of! 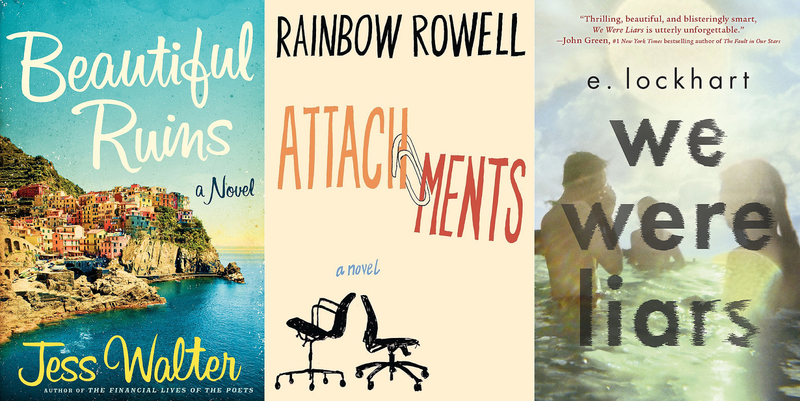 Attachments is another one I would call a beach read, but at the moment I'm really into Young Adult fiction, I go through various genre phases (before this I was reading all the classics, Frankenstein, 1984, Great Expectations), but Attachments definitely falls into YA. The book consists of emails between two work colleagues, revealing work friendships, relationships and a colleague who reads said emails and starts to fall for one of the women. Finally, We Were Liars has been recommended to me by a couple of friends, so I decided I should definitely give it ago, it's about a group of four friends called The Liars, and mainly follows the story of Cady, who comes from an extremely rich, distinguished family with a lot of secrets. I know this book has been nominated for several awards, so I'm quite excited to get cracking on it! WATCHING (TELEVISION): 'Breaking Bad' - I know, please, nobody cry, if TFIOS reveal wasn't enough for one post, I haven't seen this yet either. I watched one episode and got so so bored. But friends, family, and probably strangers on the street would too if they knew, have persuaded me to give Walter and Jesse a chance. Maybe this time I'll even be able to see Bryan Cranston as Walter White and not Malcolm in the Middle's Dad. I can only tackle one 'whole' TV Series at a time, otherwise my brain goes into overload, so I need to wait for Desperate Housewives to finish before I can begin. If I watch 5 episodes and still don't enjoy Breaking Bad, then I will turn to The Walking Dead. EATING: Eating Alice? Really? Well, actually, yes. I've always always been a vegetables over fruit girl, but living in Italy means the quality of all the fruit is so much nicer, I've become a sucker for it. From blood oranges to cherries to watermelon, everything tastes 100x nicer than back home. Here, I have access to a blender, as I am now officially a smoothie addict. I've decided when I am home there is no doubt about it, I will be buying a blender to create some wonderful fruity concoctions. My favourite at the moment is orange, (small) carrot, ginger and apple. I had it in a vegan cafe in Verona, and fell in love with the tastes. And it's completely guilt free, hooray! WEARING: In terms of clothes, I have recently had a big of a kimono obsession, and so I am sure any outfit of mine will be with-kimono this summer. I'm also a big fan of the platform jelly's and I have always been a sucker for a lovely playsuit. But I actually wanted to talk about make up. I recently invested (if you're as poor as me, it is definitely an investment) in the Giorgio Armani Liquid Silk Foundation. And oh lordy, it is an absolute delight. I bought it with some birthday money after hearing so many make up artists rave about it, and I honestly can't blame them. I have pretty dry skin and keeping it hydrated takes a lot of time and routine, so I try not to put just any old thing on my face. It's light coverage is perfect for summer and it leaves your skin looking literally glowing. I can't recommend it enough. I don't really post pictures of myself on here, but I've left you with an un-edited natural light picture so you can see how incredible it is. Well worth the money. Hope you're all having lovely weeks! You look so pretty and tanned!